It wasn’t a perfect day for skiing. The temperature hovered around freezing and the lower part of the mountain still wore large patches of mud and grass, a reminder of the fact that it was really still late fall in Vermont and and not yet winter. My 11- and 14-year-old sons both knew that there weren’t many trails open, but you wouldn’t have guessed it from their giddy excitement. We paused, briefly, for a photo at the top of the mountain, and then we were all off, feeling the snow beneath our skis, enjoying the fresh air on our faces, and loving every minute of being together. At the end of each all-too-brief run our lift rides were a chance to compare notes and talk about our technique or about Pokemon Go! or the upcoming winter track season. My husband and sons couldn’t stop grinning and neither could I. 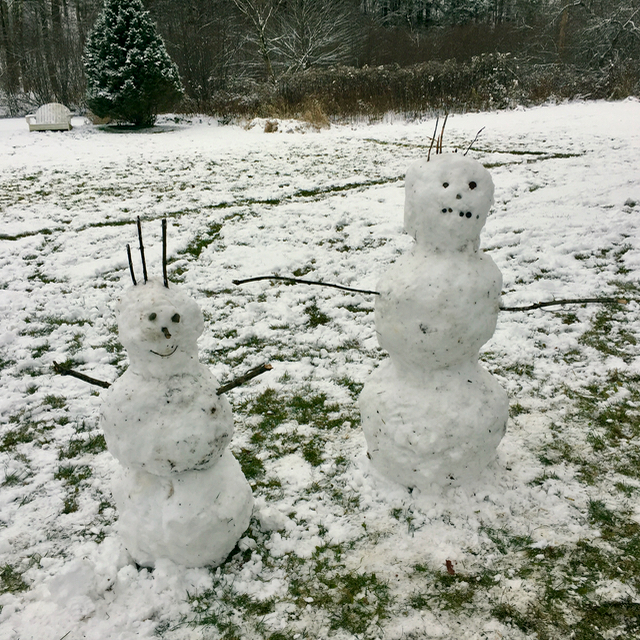 We were in Vermont for my extended family’s traditional Thanksgiving, a vacation that we love every single year for all its simple pleasures of seeing family and dear friends, making snowmen and playing touch football in the yard. In 2016 there were trivia games, a jigzaw puzzle and a family viewing of Fantastic Beasts and Where to Find Them. We ate turkey and laughed and talked and then talked some more over pie. But without question the highlight of the weekend was our day on the mountain enjoying snow, scenery, speed and the pleasure of sharing an activity we all love. As I watched the snow-covered pine trees sliding past me I realized that it was totally worth all my effort of getting our ski stuff organized, putting the box on the car and packing it all up for the long drive from Delaware. 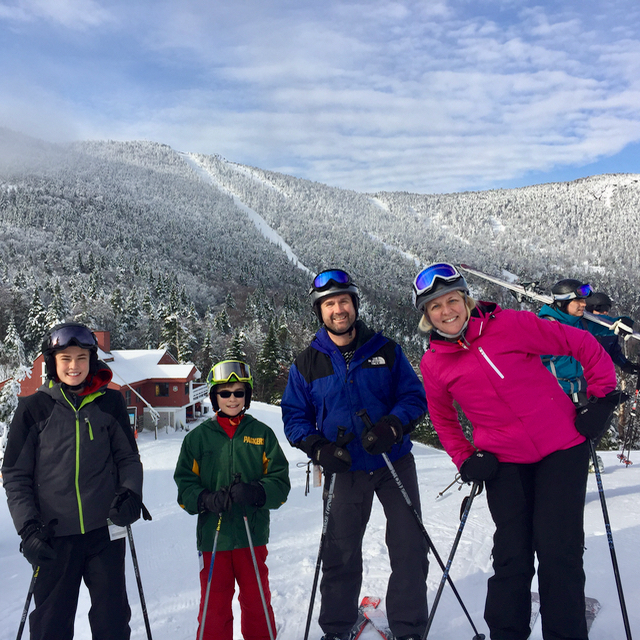 Family ski vacations are like that: they may take a bit of planning, but I always find that they pay off in terms of genuine moments of family joy. Our Thanksgiving trip happened to be in Vermont, but it could easily have been anywhere that there are mountains, say Colorado or California. In fact, over the years my family has had numerous vacations at ski resorts around the country and every time we do find a similar sense of connection; I’ve written before about why I love our family ski trips. And I’ve been lucky enough to visit several different Vail Resorts with my family over the years. 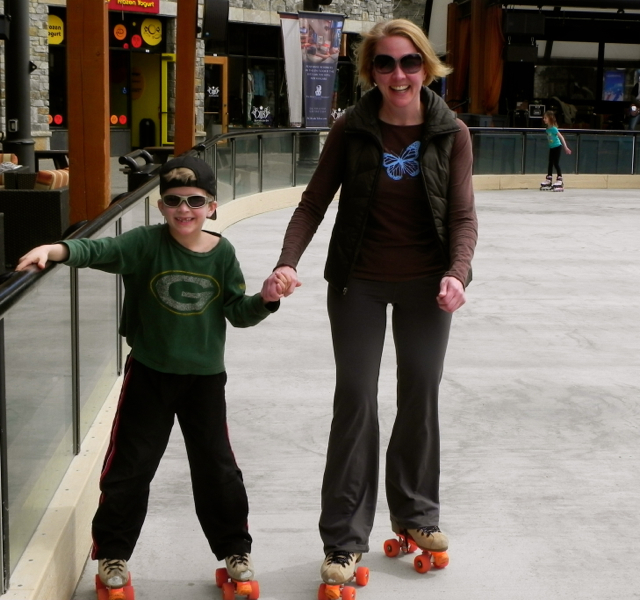 Among the many different journeys we’ve taken (I don’t call myself a traveling mom for nothing – and we’ve been going this for over a decade now) our trips to Keystone in Colorado and Northstar in California stand out. 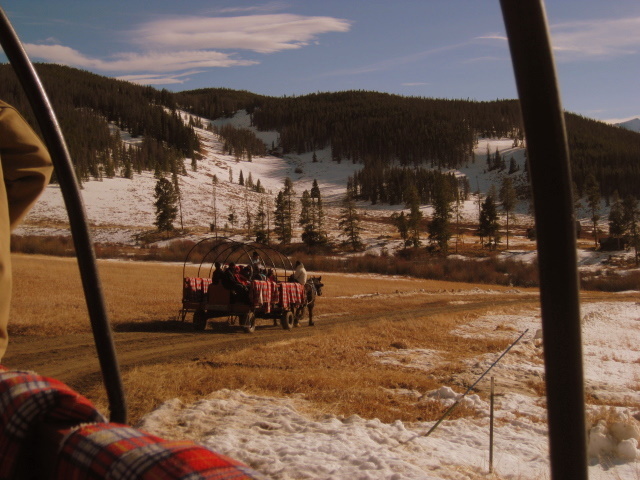 At Keystone, we rode a horse-drawn wagon to a ranch cabin where a singing cowgirl serenaded us. We snow tubed under a bluebird sky and climbed all over a giant snow fort. Gondola rides gave us a chance not just to admire the mountains but to plan our runs, the boys (both of whom were pretty young when we were there and who were still relatively new to skiing) pushing to try some of the longer and more challenging terrain. And at Northstar I swooped down pine-scented trails, my older son and I whooping with the sheer pleasure of spring skiing. When the snow got thick and heavy under the warm afternoon sun (they don’t call it “Sierra Cement” for nothing) there were no worries – we simply headed for the rink in the middle of the village, put on some roller skates, and boogied to some groovy tunes. We dipped our toes in Lake Tahoe and saw a bear. And my younger son spent so much time on the bungee trampoline that I wondered if he would remember the trip primarily as being upside down. 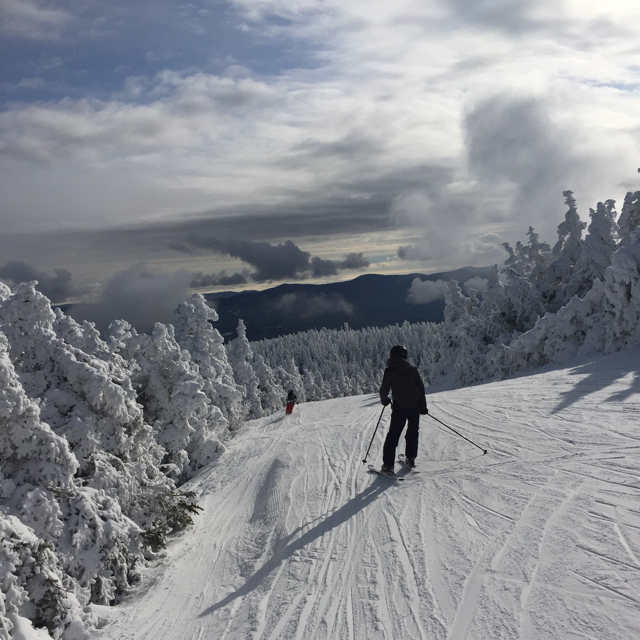 Like our Thanksgiving trip, these ski resort visit were full of simple pleasures – hanging out in our condos, playing games, spending time outside and just being together. This is time we don’t take at home, where school activities, work and the busyness of every day life get in the way. Where we don’t have mountains outside our door. Where I don’t always have long lift rides to talk to my kids about what is on their minds. The entire winter stretches before me now and I would happily return to either of these resorts or visit a new one – maybe in a new state like Utah where my family has never been. 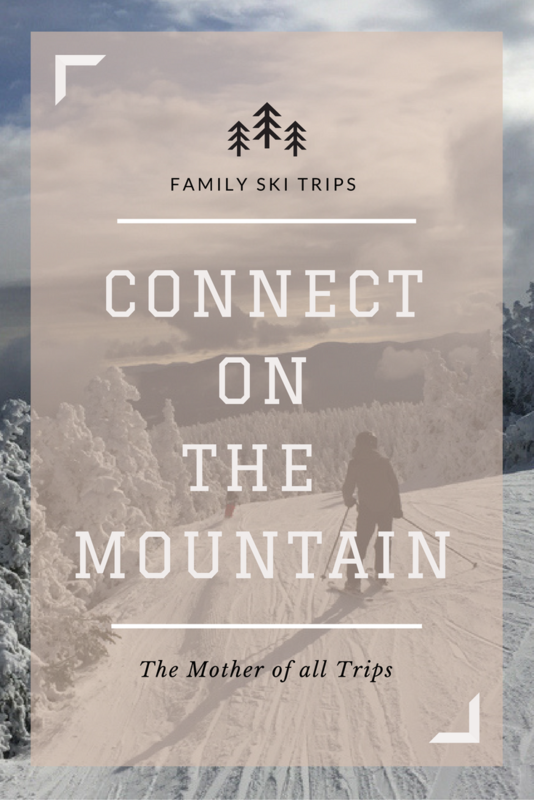 That’s because I really believe that family ski vacations offer a chance to connect in a way that few other family travel experiences do. This conversation was written by me on behalf of Vail Resorts, who compensated me. The opinions and stories are all mine. I think this is so Amazing! I love Ski trips with my family and I think they are a great way to connect as well. Ski vacations always make a fun and memorable experience for every family. Ski vacations always make a memorable experience for every family.